Comida Frita / Fried foods - a mod that adds new items, such as fried fish or clippings fried bacon of gold color. They will give you the positive effects. These effects are always different: high speed, increased power, night vision. This mod is quite interesting, although not as large. 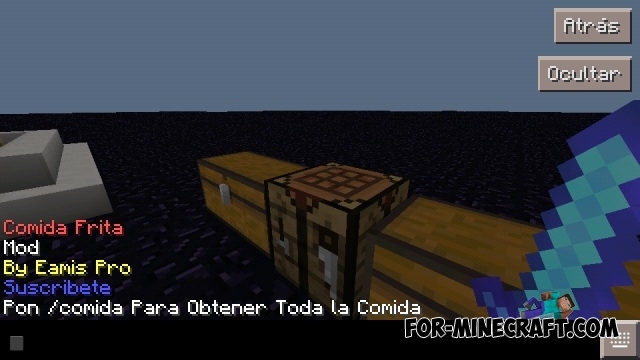 BiomeEffects mod for Minecraft PE 0.11.0 / 0.11.1BiomeEffects adds a certain reality. With him in some biomes you will appear effects. For example, in the forest you will get a lot of positive effects, on the river - speed. 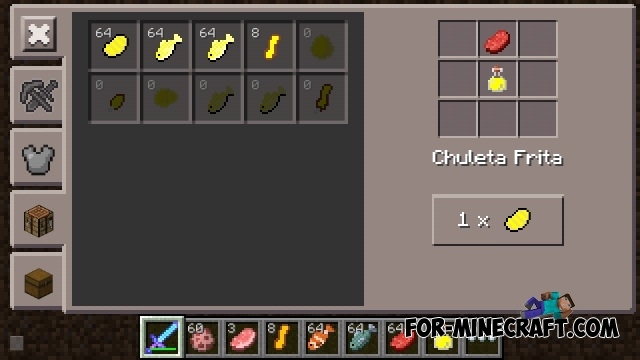 Food and effects mod / MAS COMIDA for MCPE 0.11.0This mod adds a new food that will give you certain effects!